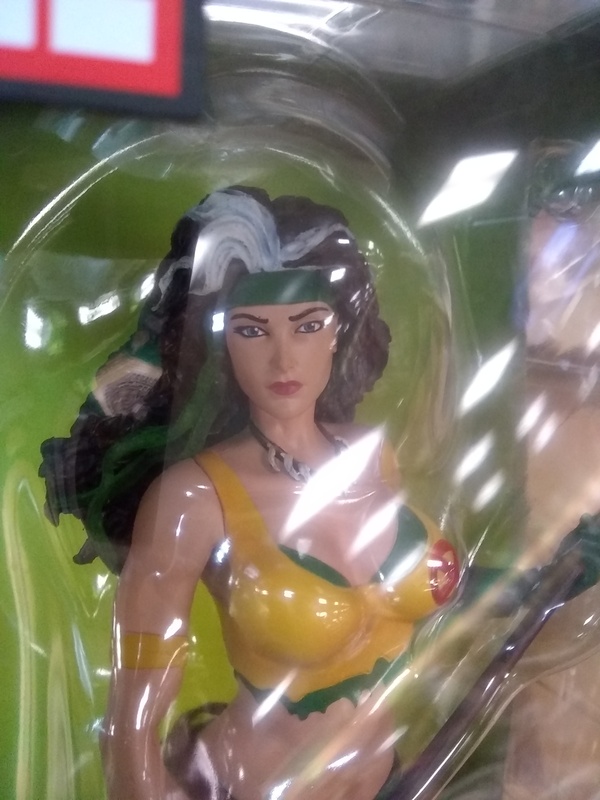 Kind of an odd place to start w/ a Savage Land figure, even though she looks great . Might be late to the party but will there be/has there been a Kazar or Shanna? I think they just wanted to do something different. Most pieces are of her in the Jim Lee green and yellow costume. The eyes are a bit wide. Otherwise I think she looks ok, but it is hard to tell. They seem to shy away from show the face head on. I have noticed that these Marvel pieces do have worse paint apps compared to the Femme Fatales line. Still working on improving my reviews, but you get to see some of the paint apps on Dawn, Sinful Suzi and X-23. Agreed, the Marvel Gallery paint jobs can be VERY hit or miss. As an example, most of the X-23 masked Wolverine figures I saw had HORRIBLE paint applications... but for the SDCC exclusive unmasked version they seemed to listen to the masked complaints and tried to do a better job. There were still odd mistakes in random places, but overall they're improving. Looking forward to watching your reviews! I heard that the unmasked ones were horrible. Could have been just a few instances. I might have to try one then, if they are better. Thanks for watching. Excuse my yooper accent, lol. I think they just wanted to do something different. Most pieces are of her in the Jim Lee green and yellow costume. I think so too. Rather than starting a new `savage` line, they probably just wanted a variant of Rogue. There indeed are a lot of Rogues in the Jim Lee costume. I don't mind the costume so much, but they're all in a markedly similar pose: flying with one knee bent and the opposite arm in a fist. Too many of those will not good look on a shelf. I'm glad they came up with this. Now I wish they'd ship it already. Seems too good to be true. Got word from BBTS that they still don't have a release date. eBay sellers have it in hand. That's some good news. Probably means it's just around the corner. Saw it at my LCS. Looks good.